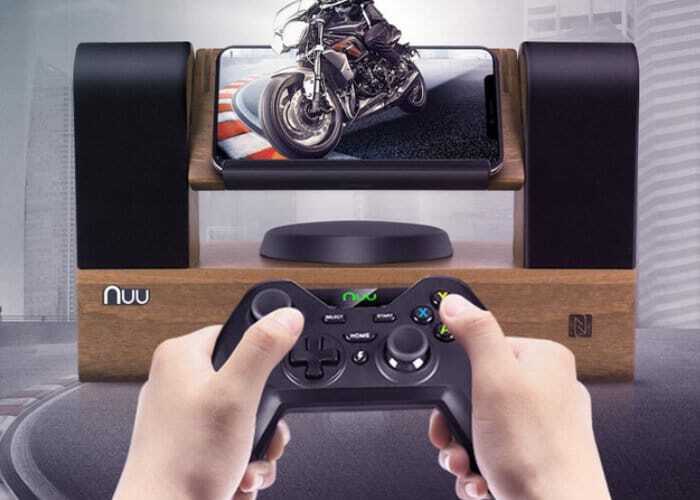 Gamers looking to enhance the sound from their mobile devices, may be interested in a new portable Bluetooth speaker system which has been specifically created for gamers. The Game Zoom GZ1 Bluetooth speaker set also includes an integrated wireless charging dock and controller, providing the “ultimate gaming experience for mobile gamers” say it’s creators. Watch the demonstration video below to learn more about the construction, features and build quality of the Game Zoom GZ1, which is launched via Kickstarter this week . – Well-tuned speaker output: The speakers, together with the bass drives a maximum output of 20W. They are deliberately tuned to provide more textured gaming sound effects that brings mobile gamers incessant enjoyment in playing games. – Bluetooth and NFC: Built-in Bluetooth and NFC provide easy connection and rapid launching of games. – Wooden enclosure: Wood is non-resonant. GZ1 uses wood as enclosure material to allow sounds vibrate with minimal distortion and thus the speakers provide better acoustics. – Non-stop playing: GZ1 provides both 5V 2A wired charging, as well as a 10W wireless charging of efficiency up to 80%, to avoid gamers suffering from running out of battery. – The controller: The joystick controller helps gamers manage each of the characters and perform functions in their games with no difficulty. For more details jump over to the official Kickstarter crowdfunding campaign page by following the link below.